Want your kids to learn and have fun? Want to meet other mums and grandmothers? 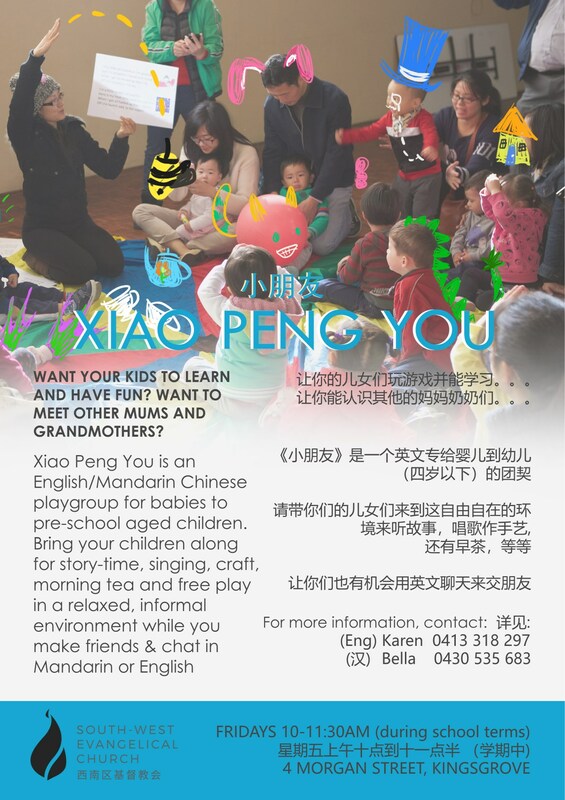 Xiao Peng You is an English/Mandarin Chinese playgroup for babies to pre-school aged children. Bring your children along for story-time, singing, craft, morning tea and free play in a relaxed, informal environment while you make friends & chat in Mandarin or English. Where: 4 Morgan Street, Kingsgrove.